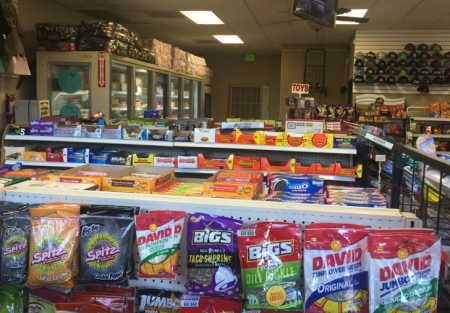 * This is a convenience store located in Stanislaus County. * The store is situated on a busy road and it has good traffic exposure. * Reason for selling the store is owner father is sick. * The owner is running this business from last 6 years approx. with dedicated customer and name in the area. * Store sales are up to $30,000 per month average at a good profit margin of 40%, as per owner. * Store also sells Beer & Wine. * Store also has 11 door walk-in cooler. * Building size is 5000 Sqft approximate. * Inventory is included in sale price.